So, once again, it’s New Year’s Eve, scary! I know every single blog post has said the same thing but seriously, where has the year gone?! 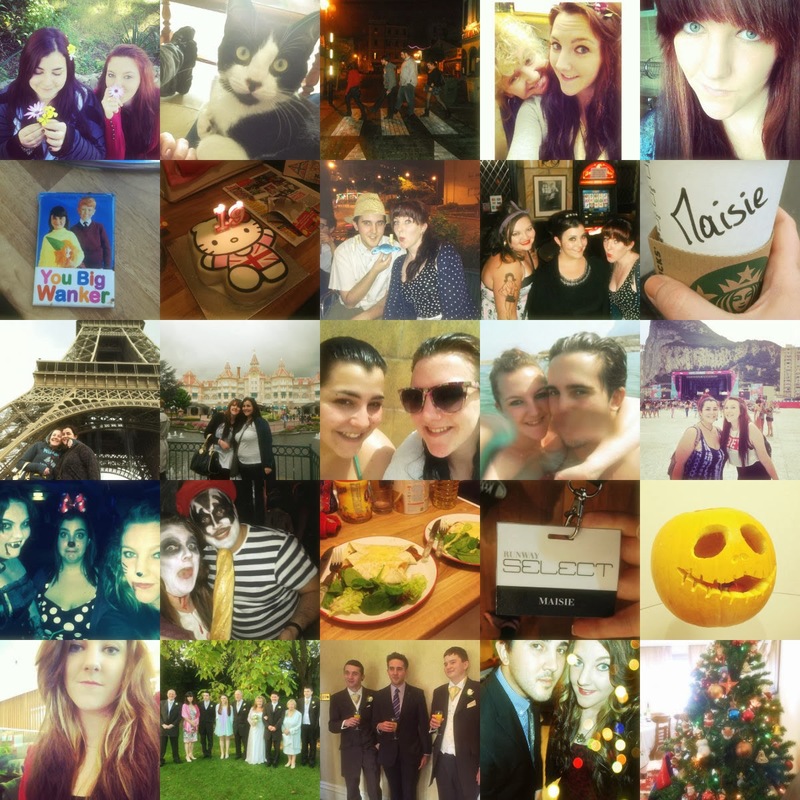 I decided to do a little round up post of some of the things I’ve done this year! JANUARY: Kathy, Nolan and myself spent a day up the rock and at the Alemeda gardens like true tourists! Nolan and I adopted Sir Toby! Also, myself and three others were possessed to take this photo (the third one) during a birthday pub crawl/challenge. FEBRUARY: I flew to the UK and spent a much needed week with my mum and little brothers. I visited whole foods for the first time and it was spectacular! MARCH: The Life Of Maisie was created, aww! I decided to re cut in my fringe, don’t worry it’s gone now. I tried veggie bacon, it was horrible. APRIL: I moved house and found this magnet, classy I know. I turned nineteen and had an epic fancy dress pub crawl/party! My boyfriend was dressed as Steve Irwin and he looked fabulous. I was really, really broke this month. MAY: A barista at Starbucks spelt my name correctly! It was also spelt wrong about 50 times. I flew to Paris for Kathy’s 20th birthday and it was perfect. We visited the Eifel tower, went to Disney Land and even went to see the Moulin Rouge! We also had our first swim of the year. JUNE: I had a load of time off work in the summer so spent my days at the beach or by the pool. JULY: In the middle of July, Nolan and I celebrated our 3 year anniversary, how cute are we? I wrote a post for EtailPR’s blog! I was even lucky enough to take part in the charcoal challenge! AUGUST: Nolan turned 24, ooaaa! SEPTEMBER: We all went to the Gibraltar Music Festival and saw Olly Murs, Lawson, Texas, Emilie Sande and loads more, it was a perfect day! OCTOBER: I interned backstage at Runway Select Gibraltar and I met a load of really great people. I got to dress up twice for Halloween and Stefano had the best costume! I made veggie burrito’s for the first time! We carved the most awesome pumpkin that there ever was! NOVEMBER: I dyed my hair gingery brown and blonde. I flew to the UK for my mum’s wedding and it was honestly the most beautiful day of 2013! I got to spend time with all of my family and it was just so wonderful and magical! DECEMBER: The Life Of Maisie SHOP officially opened for business! I had a fantastic Christmas and I am so lucky to have had such a wonderful year! How did you spend your 2013? I hope you’ve all had a brilliant year and are ready to welcome 2014 with welcome arms! 0 replies to So, what happened this year?